As promised, Ocean Drive Beach Rentals does everything possible to make sure you save valuable vacation dollars when you're with family and friends in North Myrtle Beach. We think it's really important to enjoy our beautiful beach, and still have money in your pocket on the trip back to home. When you book your North Myrtle Beach vacation rental with Ocean Drive Beach Rentals, you’ll not only be guaranteed a clean and well maintained rental home or condo at a great rate, but you’ll also get all the added value of our Endless Fun Club. We've spent lots of time in the off-season to create special exclusive deals for our guests at popular area attractions, restaurants, specialty shops, and services. All of these top Grand Strand businesses offer family-friendly fun. Just show your Endless Fun Club card (you'll receive one at check-in) when you pay for products or services at the following businesses, and you'll get the exclusive Ocean Drive Beach Rentals discount as shown. For a select few, you'll have to buy tickets in our office at 98 North Ocean Boulevard, Suite A. It's as simple as that! We think it's important to keep the Endless Fun Club limited to only the best area businesses. Each participating business is specifically selected to enhance your vacation experience. More great businesses are going to be joining our savings program this year. 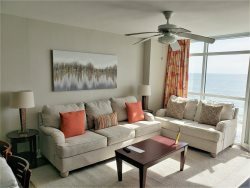 Check back frequently to see more exclusive deals added for guests of Ocean Drive Beach Rentals! Mayday Golf — $2 off admission for up to 5 players until 5 p.m. Guests who book more than one week of vacation with Ocean Drive Beach Rentals will be given 5% OFF each consecutive week's stay! For example, if you book a three-week vacation with Ocean Drive Beach Rentals, you'll receive 5% off the second AND third week rates. There are no restrictions as to which house or condo you choose; every property is included in this promotion. Just mention this exclusive deal and SAVE!